Capitol Records Nashville’s Jon Pardi scores his second No. 1 single with “Dirt On My Boots” topping the Billboard country radio airplay chart this week. “Dirt On My Boots,” written by Rhett Akins, Jesse Frasure and Ashley Gorley, follows Pardi’s No. 1 Platinum-selling smash, “Head Over Boots.” Both tunes are featured on his No. 1-debuting album, California Sunrise. Pardi, who is nominated for his very first ACM Award for New Male Vocalist of the Year, makes his late night television debut tomorrow night, March 14 on NBC’s Late Night with Seth Meyers. The country singer also performs the hit No. 1 “Dirt On My Boots” on ABC’s Good Morning America March 23. Fans can find Pardi on the What the Hell World Tour with Cole Swindell and Dierks Bentley, and can listen to “Dirt On My Boots” HERE. 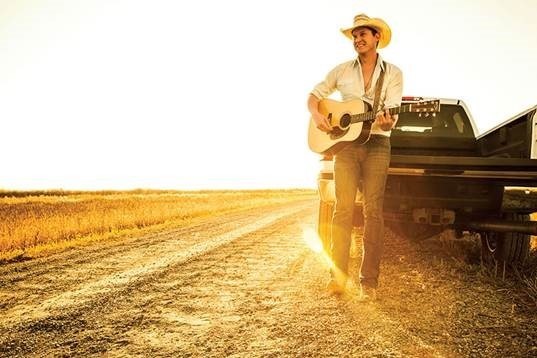 For additional information, music and tour dates, visit www.JonPardi.com.